"What am I writing? A historical tale of 300 years ago, simply for the love of it." Mark Twain’s "tale" became his first historical novel, The Prince and the Pauper, published in 1881. Intricately plotted, it was intended to have the feel of history even though it was only the stuff of legend. In sixteenth-century England, young Prince Edward (son of Henry VIII) and Tom Canty, a pauper boy who looks exactly like him, are suddenly forced to change places. 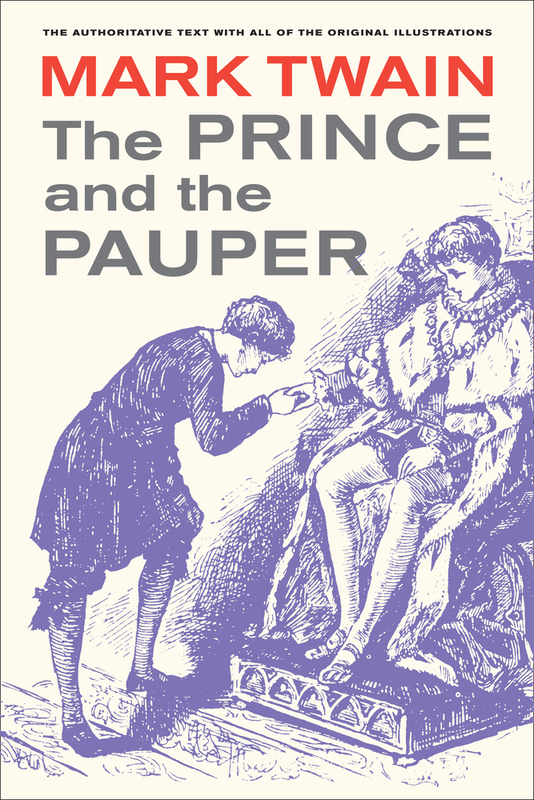 The prince endures "rags & hardships" while the pauper suffers the "horrible miseries of princedom." Mark Twain called his book a "tale for young people of all ages," and it has become a classic of American literature. The first edition in 1881 was fully illustrated by Frank Merrill, John Harley, and L. S. Ipsen. The boys in these illustrations, Mark Twain said, "look and dress exactly as I used to see them cast in my mind. . . . It is a vast pleasure to see them cast in the flesh, so to speak." This Mark Twain Library edition exactly reproduces the text of the California scholarly edition, including all of the 192 illustrations that so pleased the author.